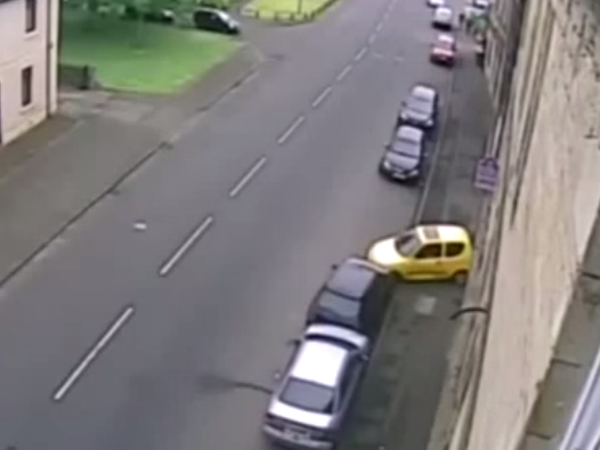 Is this the worst parallel parking attempt ever? What's worse than trying to parallel park in front of a group of people? Trying to parallel park in front of a camera. This hilarious video shows the driver of a yellow Fiat desperately trying to parallel park their car on a street in West Lothian, Scotland. CCTV footage shows the driver failing terribly in his attempt, haphazardly reversing into a wall and a nearby car. The footage, which was filmed by camera mounted on a nearby home and plays like a Mr Bean skit, shows the driver slowly trying to position his car into a gap between two cars. Moving back and forth in an attempt to straighten up, he suddenly reverses and turns - smashing into a wall and side-swiping the black Ford Fiesta behind him. But instead of getting out the car to check the damage to his car and the black Fiesta, the motorist pauses for a while, before driving off down the road to look for another parking spot. I'm a 43 year old woman looking to meet men between the ages of 40 and 50.